The calendar pages are flipping faster and closer to the holidays and our students are becoming more difficult to engage. Their excitement toward upcoming festivities along the allure of a vacation break is difficult to compete with. So, if we can’t beat them, we might as well join them, right? However, as tempting as it is to pass around huge bowls of popcorn while watching Christmas movies, our administrators probably would not approve. So, what should we do? 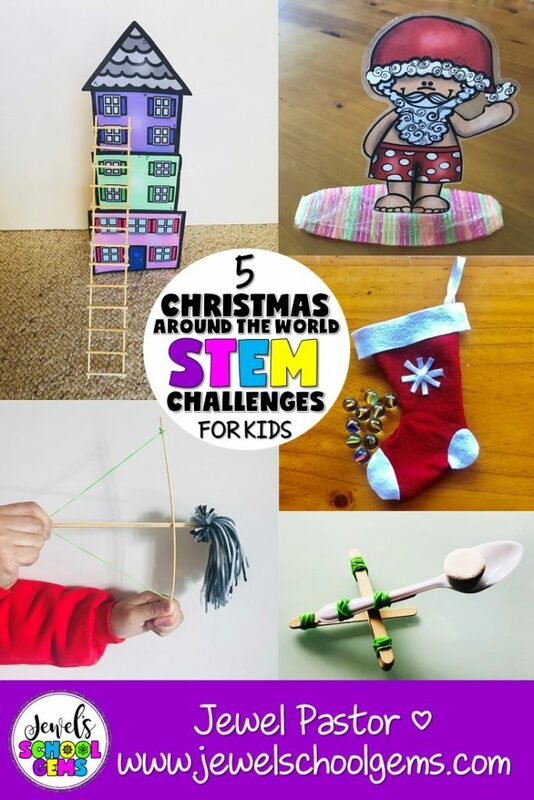 Christmas Around the World STEM challenges can be the answer to your prayers! 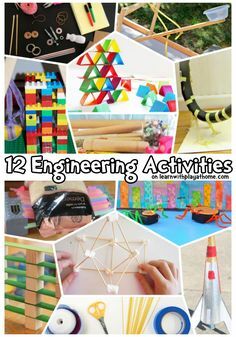 Click on the image if you want to see this Christmas Around the World STEM Activities Bundle on TpT! With these Christmas Around the World STEM challenges, your students will learn interesting facts about Christmas in other parts of the world, then participate in engineering activities that will require the use of problem solving and communication skills, as well as collaboration and creativity. 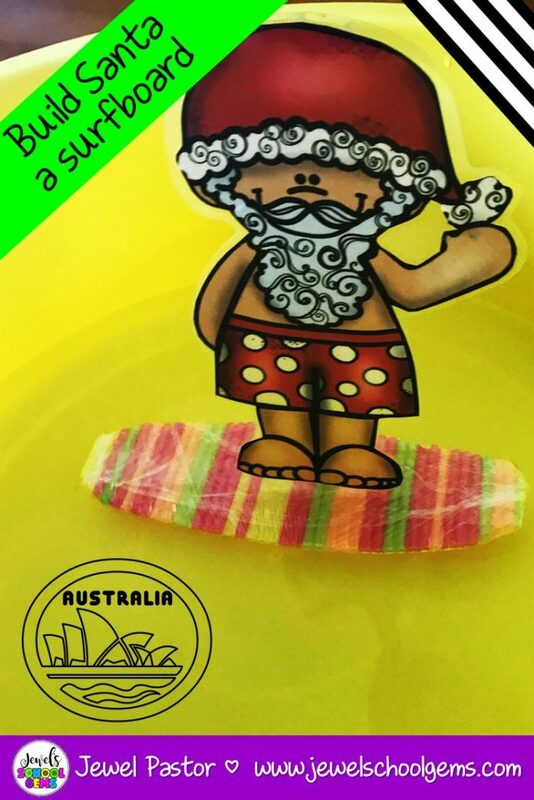 Did you know that Christmas is celebrated during Summer in Australia? When Santa gets to Australia, he is believed to give the reindeer a rest and uses kangaroos instead. He changes his clothes for less “hot” ones, such as a singlet (tank top) and thongs (flip flops)! He is also usually portrayed as a surfer. So, for this country, why not challenge your students to design and build a surf board for Santa that will stay afloat using drinking straws and plastic wrap? Afterwards, students can write a story about him entering a surfing contest. Click on the image if you want to see this Christmas Around the World STEM Activity on TpT! Did you know that Papai Noel or Father Noel is the gift bringer in Brazil? According to legend, he lives in Greenland. Sometimes, children leave a sock near a window. Many believe that if Papai Noel finds their sock, he’ll exchange it for a gift! 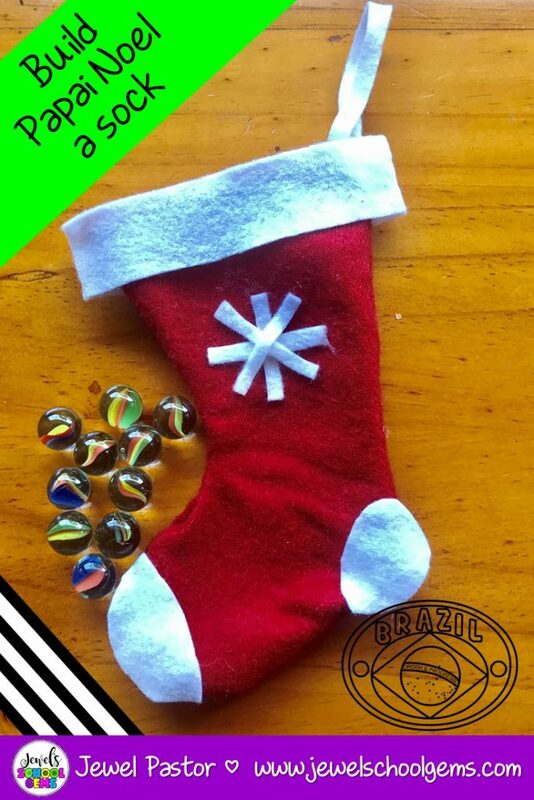 So, for Brazil, why not have your students design and create a sock for Papai Noel using felt, glue, tape, stapler, and staple wires? To make it more challenging, the sock should be able to hold at least 20 marbles without breaking. Students can then write about what gifts each of the 20 marbles in the sock could represent. Did you know that in Egypt, Santa is called Baba Noël? Baba Noël means Father Christmas. Every year, children hope that he will climb through a window and will leave some gifts! Many children leave some kahk, a special sweet biscuit, out for him. 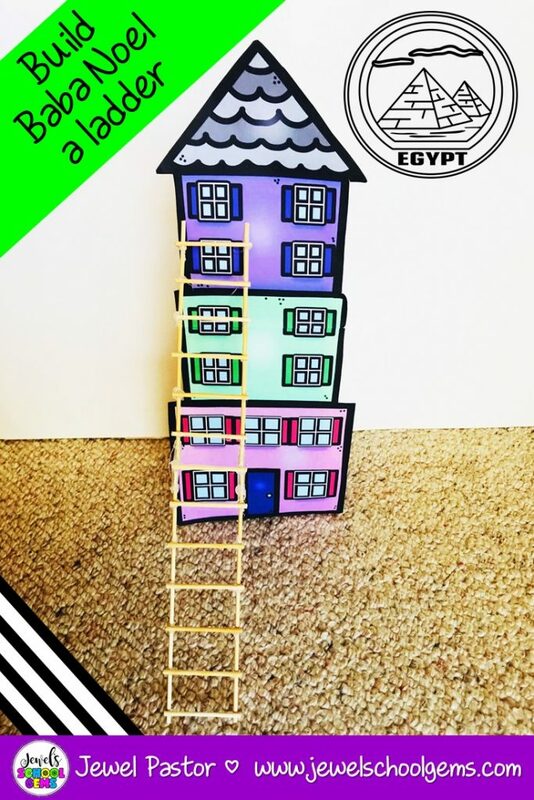 Now, for this country, have your students design and build a ladder for Baba Noël using skewers, glue and tape. Challenge them also to make it long enough to reach the window of a house, but also foldable so Baba Noël can carry it easily. For a writing activity, students can write a story about Baba Noël getting stuck in the window. Did you know that in some parts of Germany, secret gifts are often exchanged at small work places and school parties? Small gifts are thrown into the room through a door. These gifts are then passed around among the people in the room until each person has the right one! It is thought to be bad luck though to find out who sent each gift. 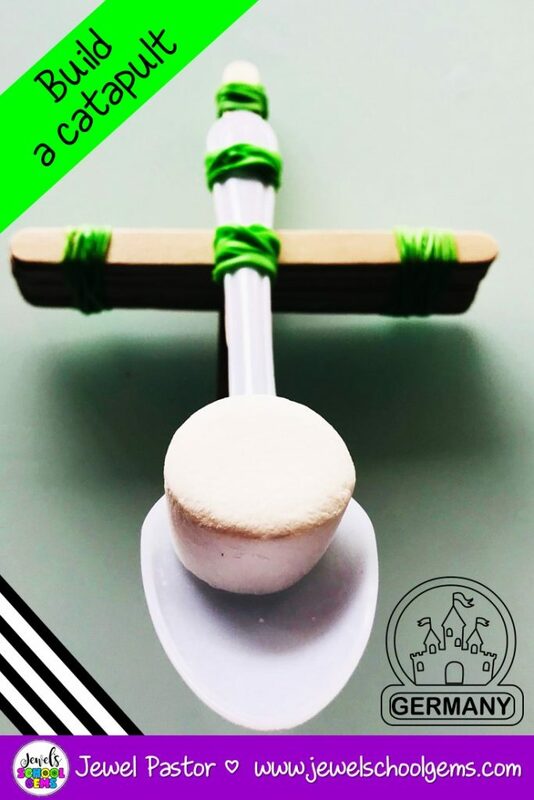 Considering this trivia, why not challenge your students to design and build a catapult for launching gifts using popsicle sticks, rubber bands, and plastic spoons? They would surely love this Christmas Around the World STEM challenge. Afterwards, have them write about what they might receive as a gift at a school party in Germany. Did you know that January 6, the 12th day of Christmas, marks the end of the holiday season in Italy and is also the day of the Befana? The Befana is believed to be a good witch who fills the stockings of good children with candies and the naughty ones with coal. She is portrayed as an old lady who flies on her broomstick bringing gifts to children. She is also referred to as the Christmas Witch. 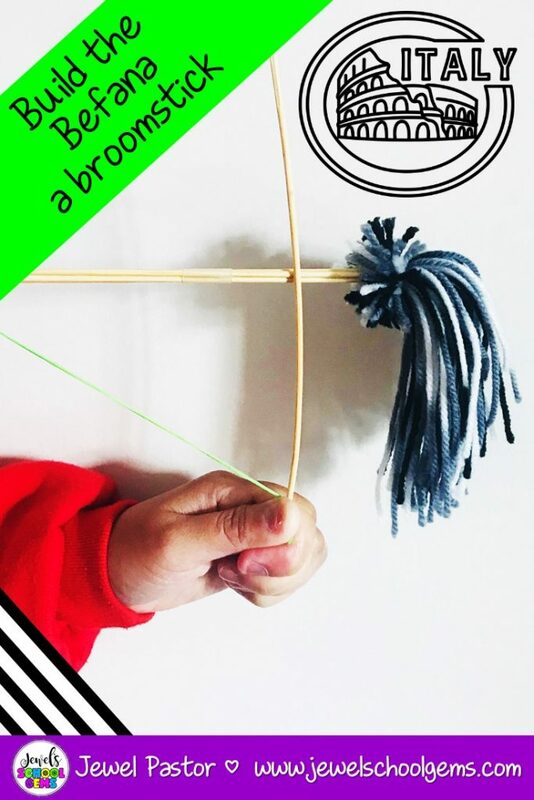 For Italy, I think it’s only fitting to have your students design and build a broomstick for Befana using skewers and string. You can also challenge them to launch the broomstick like an arrow using a bow made of skewer and rubber bands. Students can then write about what they might see and hear if they rode on the back of Befana’s broom on Christmas Eve. Just like my Holidays Around the World STEM challenges, each packet in my Christmas Around the World STEM Challenges Bundle contains clear student directions, photos of possible finished products, suggested materials, and planning, reflection, and vocabulary worksheets. 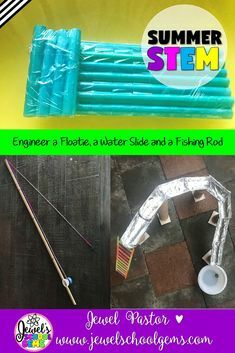 Additionally, for your convenience, I have added ways to modify the challenges, included STE(A)M links for discussion and extension activities, and indicated the Next Generation Science Standards covered. One of the great things about these challenges is their flexibility. 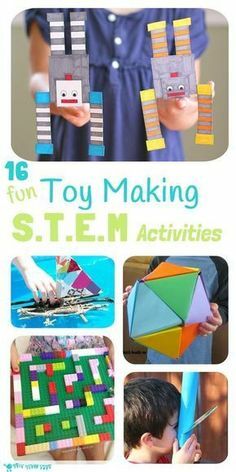 They can be easily incorporated into a complete Christmas Around the World Unit or used as stand-alone activities. The materials required are all easily obtainable and can be modified if desired. You can grab them HERE on my website or on TpT. 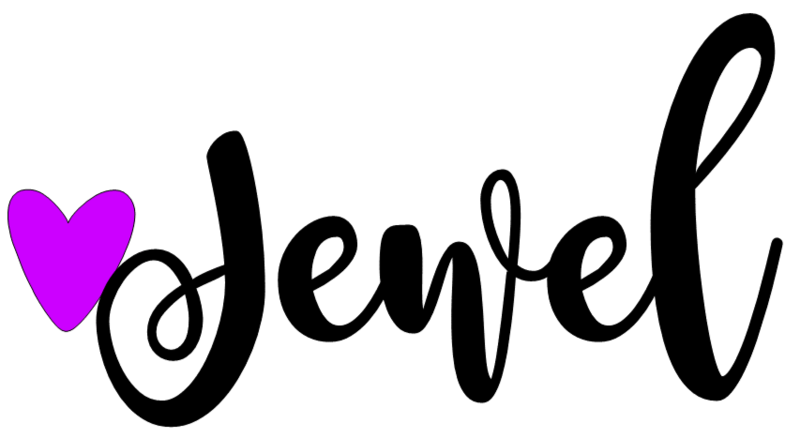 If you want a copy of my Christmas and Holidays Around the World STEM Challenge Passport for FREE, just sign up to become a Jewel’s School Gems subscriber to access my Free Resource Library! Get this freebie plus many other Science and STEM resources. Sign up today!